Our pool will be closed November 20 - December 1- 2016. We apologize for any inconvenience this may cause The Hampton Inn Tooele is located off 1-80 exit 99 /sr36 south/. The Hotel boasts of the *best place in town*. It is situated on the hill at the south end of town. This position offers wonderful views of the Great Salt Lake and the Stansbury and Oquir mountain ranges. The quiet clean crisp atmosphere will delight your stay. The hotel was built with the traveling business person in mind and we pride ourselves in productive guest visits. The hotel is the closest hotel to Dugway Proving Grounds EG and G and TEAD. Only seven miles to famous Miller Motor Sports park and two blocks from the city and county buildings. The Hampton Inn Tooele hotel features 51 rooms in 4-stories with interior corridors offering views of the mountains and Great Salt Lake. We also offer extra large whirlpool sun deck indoor pool and fitness room with weight set. Hotel amenities include complimentary continental breakfast and newspaper high-speed internet in-room coffee maker hair dryer iron microwave refrigerator and 42-inch TV with cable. Our hotel also offers connecting rooms express checkout laundry/valet services guest laundromat meeting/banquet facilities audio visual equipment and golf available for a nominal fee. 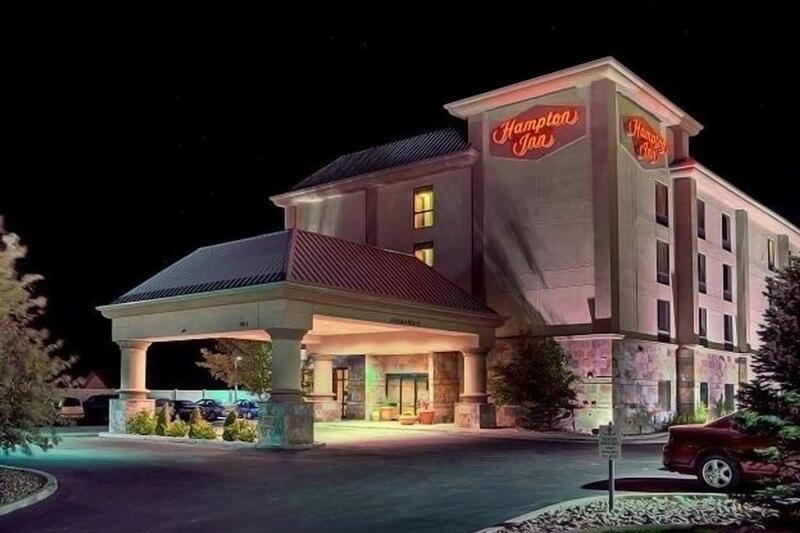 We love having you here in Utah at the Hampton Inn Tooele hotel. At one time "The Dog" was the world's largest St. Bernard, and its owner loved it so much that when it died he had its head mounted over a booth in the local saloon.